All Marthoma Bishops belonged to the Pakalomattam family. 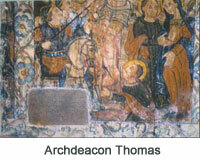 Archdeacon Thomas became Marthoma I. He belonged to the Vadakkedam branch of Pakalomattam. Pulinos call him “Parambil Thommi”, which cannot be true. The general expression of uncle of Bishop Alexander De Cempo, must have confused the Europeans. After a tumultuous life, he expired on 1670 April-22. He was buried in Ankamali St. Mary’s Church. He was the son of the brother of Marthoma I. He died at Niranam, in 1686 April-13. 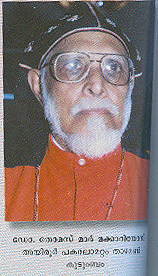 he was buried in St. Mary’s church Niranam. 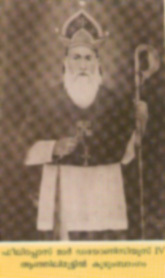 He was the brother of Marthoma – II. 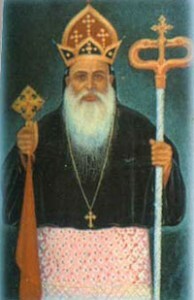 After being Bishop for 2 years he died on April 19-1688 at Kadampanad church and was buried in St. Thomas church Kadampanad. He belonged to Pakalomattam Arackal Branch. 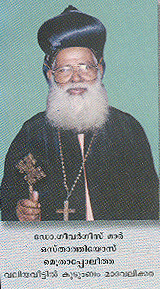 He was vicar of Kuravilangad church and became Marthoma on Compulsion. He was Bishop for 40 years. He died on March 24, 1728. 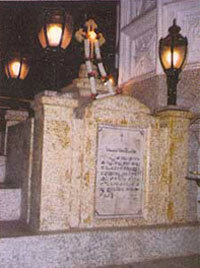 He was buried in Kandanad St. Mary’s Church. He belonged to Andoor branch of Pakalomattam. His father served as administration Chief of Vadakkumkur Kings. He was ordained in 1728. He ruled for 37 years and died on May 8 – 1765. He is Buried at Niranam St. Mary’s Church. He ruled from 1755 to 1808 April – 8. 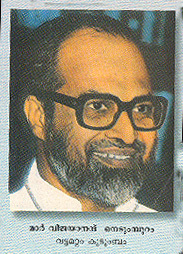 He was the only son of Mathew Tharakan elder brother of Marthoma V. His real name was Ipe. He re-titled himself as Valia Mar Dionysius. 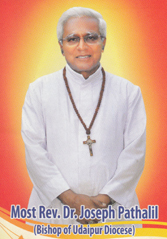 His remains are in Puthenkavu St. Mary’s Church. He belonged to Palli Vadakkedathu family Kurichithanathu Kannokunnel. 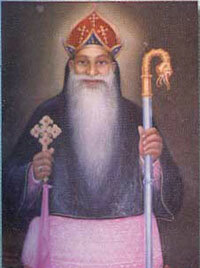 He was the son of Ouseph, brother of Marthoma VI. He was ordained as Marthoma VII at Kandanadu. On July 4 1809 he died at Kolencherry and was buried at Kolenchery church. He was son of Kuriala, the paternal uncle of Marthoma VII. He ruled from Kandanadu for 5 years. He died on January 23. 1816 and was buried at Puthenkavu St. Mary’s church. He could not function effectively. 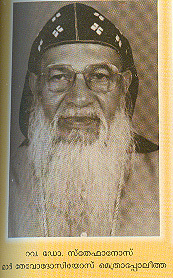 He was the Ipe Priest who was the brother of Kuriala Kadamattathu Thekkilakattil uncle of Marthoma VIII. Pulikkottil Ittoop Remban with the help of resident dewan Munroe of Travancore, ordained himself as Mar Dionysius – II and captured power. He died in 1817 and was buried in Kadamattam church. After abdication he took Sanyas and lived at Kadamattam till death. With him the Mrthoma Bishops from Pakalomattam ended. In 1812 Marthoma VIII wrote a letter to Madras governments in which he says that for 1308 years continuously Pakalomattam family headed the Church. Now there are Bishops in many branches of the Pakalomattam family. He was ordained Bishop on January 31st 1663. 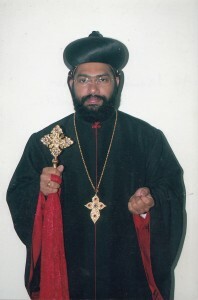 He was ordained in Kaduthuruthy church. He belonged to the Parambil branch of Pakalomattam at Muttuchira. The parambil building of Parambrem Kara existed there till two centuries back. 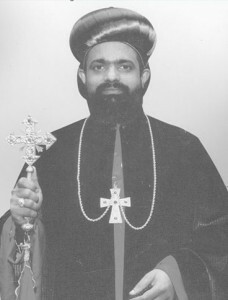 Parambil Kuriakose married into Kudukkasserry and the son born to the couple later became the Bishop. His mother’s house belonged to Palliveedu, and another branch was Panamkuzha. Hence he was called by those family names also. De Campo is the Latin translation of Parambil the Malayalam family name. 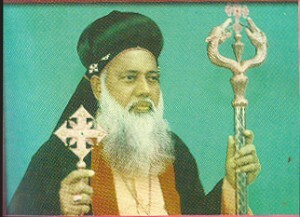 He was Vicar of Kuravilangad Parish and later had Kuravilangad as his head quarter. 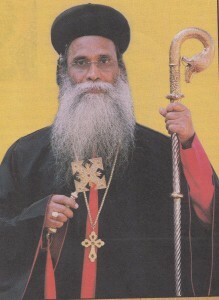 His vicar general and Archdeacon belong to Parambil Branch of Pakalomattam. 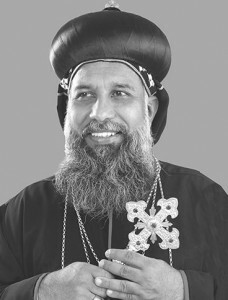 Out of 117 churches in Kerala 71 fully and 18 partially sided with Bishop Alexander De campo. This is a major success. Catholics became majority party in the Church split, because of this success of the Bhishop. He died on December – 23, 1687. 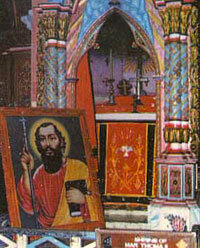 He was buried in the Kuravilangad church. The Pakalomattam family with unbroken monopoly of Bishops and Archdeacons for 1800 years in Indian church, is unparalleled in universal history. No dynasties or kingdoms, survived in the world like this. The Bishops after 1800 AD in various Pakalomattam Branches registered with Pakalomattam Maha Kudumbayogam are shown below.